This product contains geologic data for the eastern part of the Sells 30 by 60 minute quadrangle. Data were compiled from a variety of sources with a target resolution scale of 1:100,000. Data are provided as 3 ESRI shape files using the UTM map projection for zone 12. Two sets of shape files are included; one projected using the NAD 1927 datum and one using the NAD 1983 datum. The ESRI geodatabase used for in-house compilation and data archiving at the Arizona Geological Survey is included for advanced users. Geologic spatial data (1:100,000-scale) for the eastern part of the Sells 30' x 60' quadrangle, Pima and Santa Cruz Counties, Arizona, v. 1.0, 2006, S.M. Richard, E.M. Moore, W.R. Drake, and Stevan Gyetvai, (compilers). 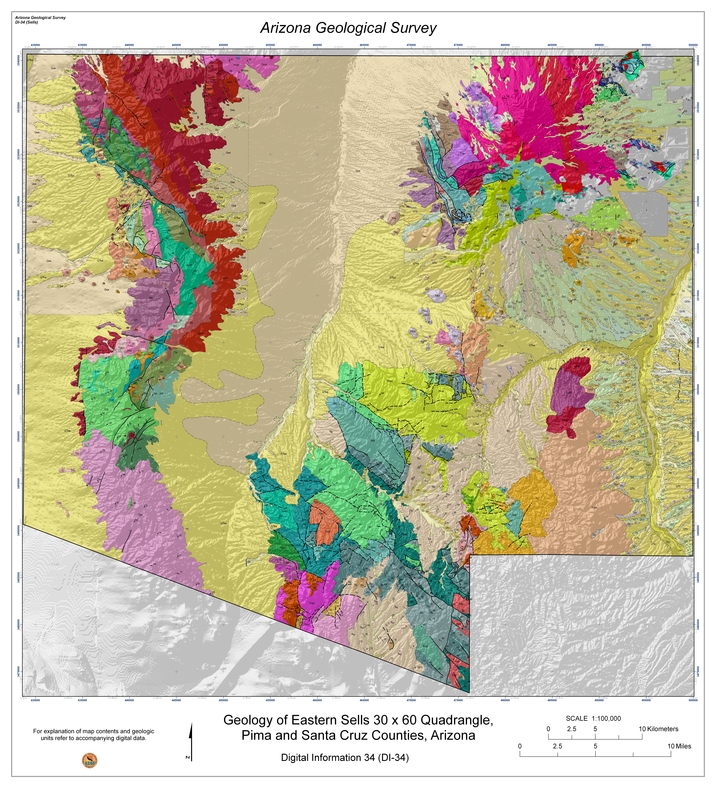 Arizona Geological Survey Digital Information, DI-34.